A Loving Mother, Grandmother and proud Montreal’r that made the journey West with her beloved father, Alan Perry to settle in West Vancouver lost her battle with Cancer on Sunday, August 5th. Dee is Survived by her three children John (Jacquie, Jordan, Tessa), Jennifer and Andy (Linda, Kai, Chase). Dee was an avid Tyee Ski Club Mom, generously supporting events with her time on the ski hill as she reminisced about her youth at Mount Tremblant. 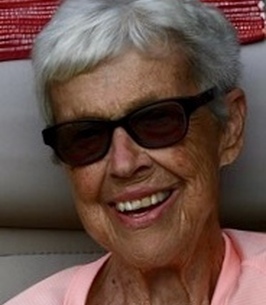 She was a skilled skier and sailor who loved the outdoors. She loved all animals and ensured they were well fed both indoors and outdoor. She was settled in West Vancouver as a savvy Real Estate investor with her 2 beloved Dachshunds, Kalen and Frisco. Never satisfied, Dee was Always Empire Building. Dee proudly owned the homes with the Brightly Painted Doors as her signature style. 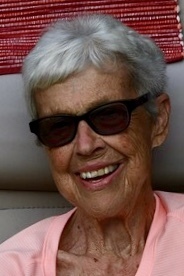 Dee’s love for her grandchildren was boundless and made her White Sunlit Smile Even Brighter. She always told them ‘Love You Much’ and they knew her love. Dee’s extended family, Jean and Jim Shirley and Cathy and Bob Paterson (Kimberly, Madeline, Cassandra) always included her in family events. Dee worshipped the Sun and its Warmth. She is now wrapped tightly in that warmth as a forever Angel to watch over her children, grandchildren, friends and animals. Dee will be missed but never forgotten and stay in our hearts forever. In Lieu of Flowers, please make Donation’s in Dee’s name to Lions Gate Hospital Foundation, Oncology Clinic. A service will be held on Saturday, August 25th at 11AM at St. Francis-in-the-Wood Anglican Church 4773 Piccadilly Rd West Vancouver.